Is your life so busy that you can’t stop long enough to ask whether there is a purpose behind all this activity? Do you wake up, go to work, pay the bills, and simply exist – doing the same thing day in and day out because you think it’s what you should be doing? Do you bother dreaming about what you want in life or are you stuck in the rut of thinking you need this job, this relationship, this life? 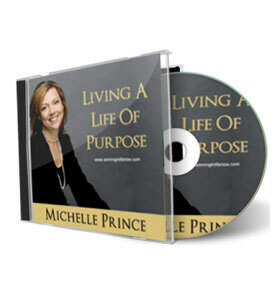 The “Living a Life of Purpose” CD will help you to live a life full of more happiness, peace, joy, success, and self-satisfaction.